The S197 chassis third link set up has suffered from brake hop and axle tramp with the stock arm and the ultra-compliant stock bushing is designed for comfort and leaves something desired for performance driving. 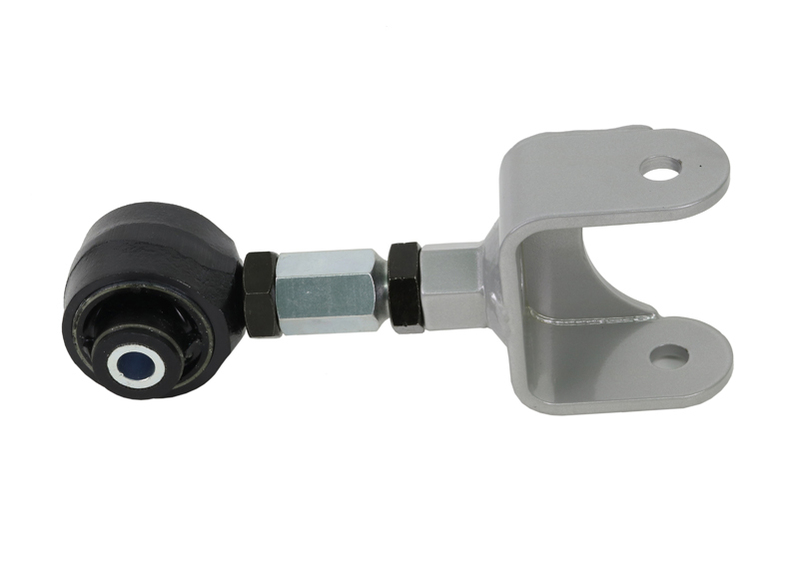 Whiteline's upper control arm is built with 4130 Chromalloy and features the longer arm length which Ford incorporated in the 2011 change which reduces brake hop. 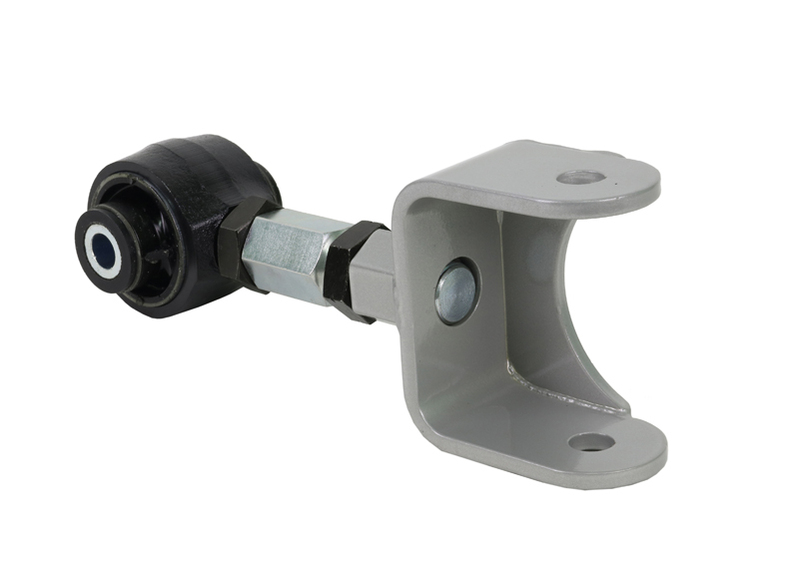 The synthetic elastomer bushing adds increased stability to the rear end without the harshness of the commonly used bearing design and features and eccentric crush tube which allows pinion angle / instant center adjustment without weakening the arm with a turnbuckle adjustment. 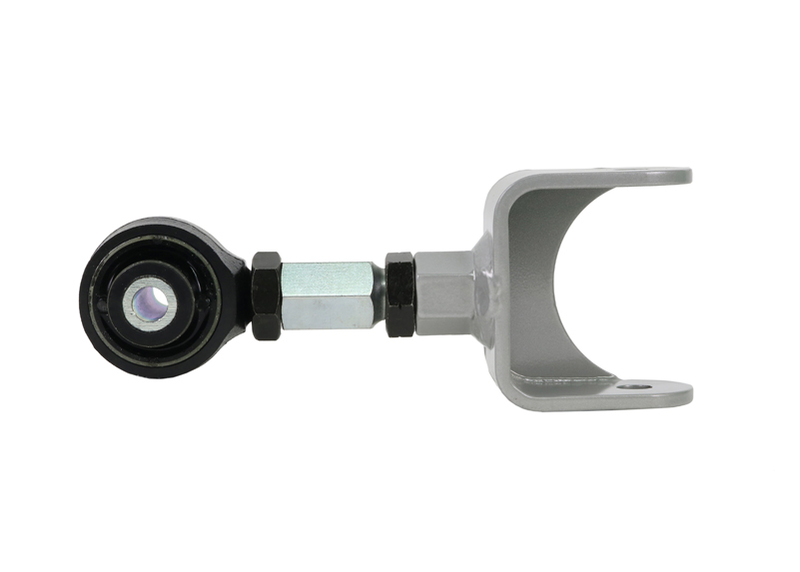 The pinhole voiding feature allows the bushing to articulate without binding. The heavy duty mount adds to the increased rigidity of the arm and is designed to be universal for all years of the S197 chassis. in/lbs 5.203lbs 16" 8" 4"